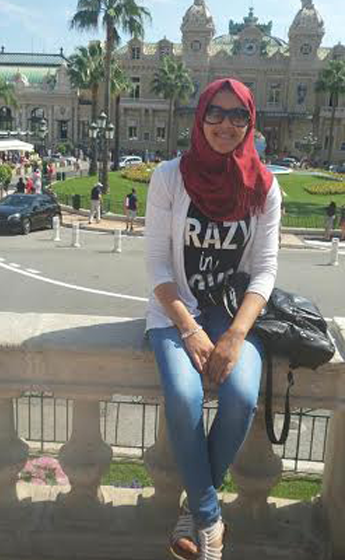 I chose to come to Nice because the Libyan Embassy in Paris advised me that Nice’s climate was very similar to that of my hometown in Libya. In addition, my teachers at university told me about the beauty, nature, climate and charm of Nice. It is for these reasons that I was motivated to come to Nice. What is your opinion about the school ? International House Nice is an excellent school and is world-renowned. Despite being a small school, it regularly welcomes a large amount of students throughout the year. In addition, the director is very kind and the teachers are well qualified. What are the lessons like ? The school has great lesson plans and each class in well organised. The students definitely adapt quickly and make a lot of progress in their language skills. In classes, the teachers encourage their students to communicate, talk and discuss. The students love the way their teachers explain different grammar points as they stray from the “standard” and classical way of teaching. Personally, what do you think of IH Nice ? In my opinion, IH Nice is an excellent school. Everything – comfort, entertainment, great teaching – can be found here. In addition, the teachers love to help their students whenever they need a hand. Honestly, Nice is very easy to get to know. I’ve visited many old coastal areas in Nice. Being here gives me the chance to discover the south of France; it’s so interesting to experience a different culture, a different tradition and living the life of a Niçois. Whic aspects of Nice do you find the most interesting ? All in all, what attracted me the most about Nice was its atmosphere, especially in summer when there are always parties and concerts along the beach and musicians, popular singers and spectacles in the squares. It is truly a buzzing city and everything is absolutely great ! I arrived at IH Nice on 26th November 2013, so I’ve been here a long time, and my French has improved dramatically.